Our business philosophy is personal attention and extraordinary service, with an eye to personaliztion. The key to a personal service business, is Personalization, and we provide that, in a manner befitting your loved one's memory, and your family's memories of your loved one. Things like special music, themed funerals, and other types of memorializtion, make every family's unique memories of their loved ones stand out. As every person is unique, we tailor the service to reflect that uniqueness and individualism. We have found that most service professions have lost the nice personal touch. People seem to forget that they are in business to provide a service, not that they are in the business to do the community a favor. Keeping that in mind, we bend over backwards to serve our families. By remaining small, and having more of a homelike atmosphere, we are able to provide personal attention that larger funeral homes can't possibly provide. We truly are, "large enough to serve you, and small enough to know you." We provide you with comfortable neighborhood surroundings and a homelike atmosphere. Pride in our family-owned funeral home, and treating your family like our own, is the key to EXTREME personal attention, and exceptional service. This is pride that has been passed down through five generations and 136 years. Grief is a personal experience. No one can predict his or her reaction to the loss of a family member or friend. Any death results in a change for the survivors. Life is no longer the same. Father Ken Czillinger is the Bereavement Specialist for the Archdiocese of Cincinnati, and the initiator of twenty support groups in the Cincinnati area. He reports that the intensity of grief usually occurs six or seven months after the death, when bereaved persons are expected by others to have accepted and recovered from the loss. Grieving has no time limit. A Support Group can begin with one parent, one couple, or one family who needs to speak with other persons having experienced a similar loss. By sharing their grief, these individuals can communicate with other bereaved persons who understand their pain, anger, and related feelings. Informal Meetings may be scheduled at a home, church or meeting hall on a regular basis, usually once a month. No agenda is necessary, although some groups prepare programs and plan social activities. The emphasis is on flexibility and creativity. Bereaved persons have the opportunity to talk about the details of the death repeatedly, to cry, to laugh, and to discuss problems they may be experiencing in managing their grief. Individuals may find their own grief diminished as they reach out to help other bereaved persons. They can offer hope to the recently bereaved that life, however different from the one previously lived, can be enjoyed after the death of a loved one. Many Groups have been established throughout the country on a local, state and national level. Some chapters publish monthly newsletters at no charge to members. The choice of cremation containers may depend on your choice of funeral or memorial services, final disposition and memoralization. Unlike the traditional funeral with burial, there is no standard procedure or expectation. Your decisions should reflect your family's preferences, traditions and religious beliefs. Following the cremation process, the cremated remains are placed in a second container for final disposition. For this purpose an urn is often provided. 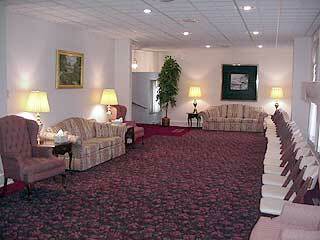 Not only can the funeral home offer all the services a cremation society offers, but more. a funeral home has facilities to conduct a private or public gathering and ceremonies such as funeral or memorial services. The role of the funeral director is to offer options, listen to the family's preferences, and then carry out those wishes. Is it necessary to pre-plan cremation services? How do the major religions today feel about cremation as a choice? There was a time when some major religions disapproved of the cremation process. Today, most permit cremation. It is a good idea to discuss your concerns with your clergy as individual congregations may differ from nationwide or worldwide church policies. Is cremation less expensive than traditional burial? It depends on the selections you make. Cost will vary according to the final disposition chosen, the services associated with these choices, and the cremation container and urn selected. Typically, there is little price difference between burial disposition and cremation with similar services. Should Children Know About Death? Learning to accept death is a natural experience in life. It is most important that children not be excluded from participating in the funeral service. If exposed to a death, a child should be prepared for and guided through the period of mourning and grief. Surprisingly, the "protection-philosopy" with regard to a child's knowledge of death is a current trend, stemming from our own death-denying culture. Similarly, parents often isolate children from the pain of growing old. They remove grandma or grandpa to a nursing home or hospital. When death occurs, the child is frequently assigned to a babysitter while the rest of the family participates in the funeral. Allowing the child to be a part of the ceremonies, and even the conversation, helps relieve his fear of the rest of the world crumbling. The "mystery" of death may be avoided with roper explanation. Each time a child inquires and is denied adequate information, he delves into his own memory bank to create and answer. The longer such mysteries persist, the more difficult they are to correct. Children may experience adverse emotional reactions. They may become angry, hoping that their tantrums will restore normality. They may neglect playing and eating because of guilt - not realizing that their own actions had nothing to do with the death. These reactions are quite normal, but continuation may indicate maladjustment. HONESTY should frame discussion of death with children, as in all "life-forming" subjects. Since the purpose is to reduce fear and induce trust, all information should be factual, and therefore not easily discounted by "playground buddies." There is nothing worse than being the lat to know the secret and being given the excuse, "Honey, we didn't think it best to tell you."